"McAdams Group brought a new dynamism to our communications, along with a clear direction for each of our marketing challenges." A local startup approached McAdams Group when their former marketing agency failed to meet the client’s expectations. Not only was the agency unable to provide best-in-practice deliverables, they could not provide strategic thinking to help crystalize the client’s brand identity and messaging. McAdams Group worked with executives at StaffTap to fill the gaps in the company’s branding by helping them to communicate the key features and benefits of their product. 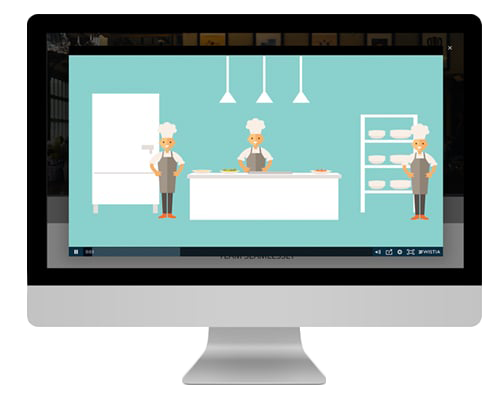 This resulted in clear and succinct messaging that was translated into a new website and production of a dozen videos about the company and product benefits. The projects were finished in a few short weeks. Our expertise and attention to detail saved the client time and kept them on budget. Given the initial project constraints, our creative solutions met the needs and surpassed the client’s expectations.